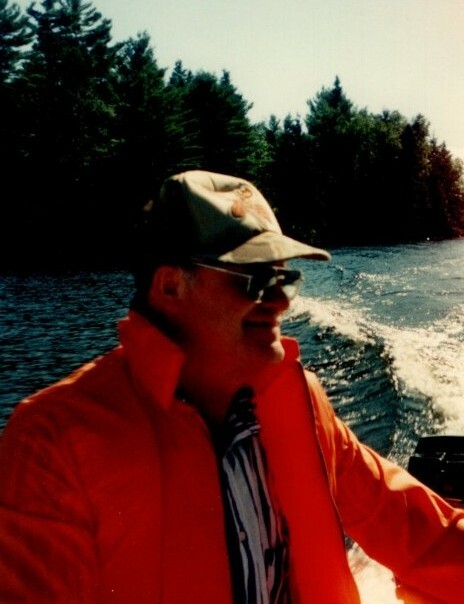 Passed peacefully with his wife and daughter beside, on Saturday March 30, 2019 at Ross Memorial Hospital, Lindsay ON. Ross, beloved husband for 56 years of Marie (Miller). Loving Dad to Sherry (Les Polmateer) and the late Brian (1987). Popa will always be loved and remembered by Justin and Becky Slute, and Justin Polmateer. Dear brother to Eleanor (Melvin McDougall), Vincent (Sandra), Victor (Shirley), George (Theresa), and Joyce (late Ray Fleming). Dear brother in law to Arnold (Shirley Miller), John (Hazel Miller), and Lorena (Marty McAvella). Also loved by his many nieces, nephews and family. Marie and the family will always be grateful for the help and friendship of their neighbours in Oakwood. Friends and family may call at Lakeland Funeral & Cremation Centre, 19 Moose Road, Lindsay, ON on Tuesday, April 2, 2019 from 2:00 P.M. - 4:00 P.M. and 6:00 P.M. - 8:00 P.M. Further visitation will be held on Thursday, April 4, 2019 at Blair & Son Funeral Home, 15 Gore Street West, Perth, ON from 2:00 P.M. - 4:00 P.M. and 6:00 P.M. - 8:00 P.M. Funeral Service to be held in the chapel at Blair & Son’s on Friday, April 5 at 1:30 P.M. Burial will take place at Bolingbroke Cemetery at a later date. In memory of Ross, donations to the Ross Memorial Hospital Foundation (Palliative Care) or a charity of your choice would be appreciated by his family and can be made online at www.lakelandfuneralcentre.com.